The advent of the DVR and satellite television has made me a bit of a junkie for old-time TV shows. Not so much the black and whites, but of the sitcoms and hosted shows we watched as a family back when I was a kid. My grandkids marvel at the fact that papa watches the old shows sometimes when they visit, and they wonder about the old music I listen to also. Sometimes I can combine the old shows with the old music like “The Porter Wagoner Show,” “That Good Old Nashville Music,” “Nashville On the Road,” “Country’s Family Reunion” and on and on. As I watch the expressions on the faces of my grandchildren when they see the old-time country music shows on my TV, I am reminded of the expression on my sister Karen’s face when Dad would dig out an old Hank Williams or Ernest Tubb album and put it on the record player. She would turn such a pretty shade of green that we decorated her and stood her in the corner one year at Christmas. I have been told for many years that I have an “old soul” and should have been born years before I was, but I am not certain that is my issue. I believe that some of us find a span of time that we were most fond of for one reason or another and get stuck in that era. I have found that to be true for me as much as I have tried to deny it. I am crazy about television shows like “M*A*S*H” (1972-1983), “The Bob Newhart Show” (1972-1978), “The Mary Tyler Moore Show” (1970-1977), “I Dream of Jeannie” (1965-1970), “The Andy Griffith Show” (1960-1968) and many more. These shows are still found in syndication on satellite and cable television, but others I have been unable to find that I would add to my stable would be detective shows like “Mannix” (1967-1975), “Cannon” (1971-1976), “Matt Houston” (1982-1985) and “The Rockford Files” (1974-1980). And then there were the entertainment shows like “The Carol Burnette Show” (1967-1978), “Red Skelton” (1951-1971) “The Dean Martin Show” (1965-1971), “The Jackie Gleason Show” (1952-1970) as well as others that I would happily watch in reruns if I could find them. They were programs I liked, but I would only watch them perhaps once or twice in memoriam if I found them. Shows like “Alice” (1976-1985), “Cheers” (1982-1993), “I Love Lucy” (1951-1957) (which I want to make clear I have only watched in reruns — just sayin’), “The Dukes of Hazzard” (1979-1985), “Happy Days” (1974-1984), “The Doris Day Show” (1968-1973) as well as others. I think we all were like Trekkies for some shows when we were kids, but later when we saw them in reruns, we realized they weren’t really what we remembered them to be. Some examples are “Batman,” which developed a cult following and only aired in new production from 1966 to 1968. I watched a program called “Diver Dan” (1960-1962) which I was wild about as a kid, but when I found it on YouTube in recent years, I was shocked at how my memory of the show and the reality of it were so far apart. Speaking of Trekkies, I was never a fan of “Star Trek” (1966-1969) or of the string of movies the followed years later. I believe I grew up in the golden age of cartoons. Those days when there was no cursing or adult-oriented subjects (c’mon, you know what I mean) dealt with. Whatever happened to “Bugs Bunny,” “The Roadrunner,” “Wile E. Coyote,” “Speedy Gonzalez” “Tom & Jerry,” “Sylvester,” “Top Cat,” “Huckleberry Hound,” “Mighty Mouse,” “Quick Draw McGraw,” “Elmer Fudd,” “Yosemite Sam,” “Tweety-Pie,” “Marvin The Martian,” “Super Dog,” “Rocky & Bullwinkle” and well, you get it. It was certainly a different day and time. I understand that if we continually are looking in the rear-view mirror, we will ultimately crash as we attempt to move ahead. However, as we move ahead, I just hope that we drag along some of the values that were held by past generations. Sometimes, reality is bad enough without having to produce reality television shows. Many of the programs I’ve talked about helped us to find a brief reprieve from all that reality and gave us a chance to regenerate to deal with reality. But then again, maybe my perception of all that past is clouded somehow. I guess that’s the reality I choose to hold on to. Now, hand me the clicker and let’s see if “Hee Haw” is still on. 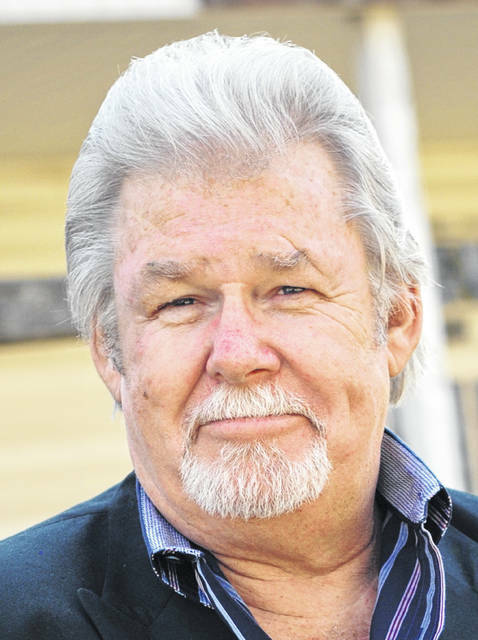 Herb Day is a longtime local radio personality and singer-musician. You can email him at HEKAMedia@yahoo.com and follow his work at www.HerbDayVoices.com.